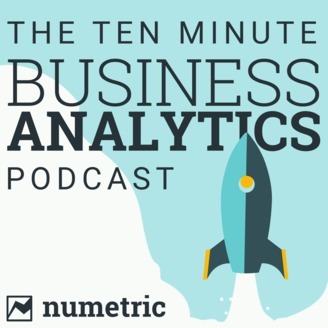 The 10 Minute Business Analytics Podcast is a weekly podcast that covers any and all data related topics. Every week, we host a guest from business, government, public sector, private sector, and key executives from some of the biggest brands on the planet. These discussion are pragmatic and are borne from the experience of our guests where they share tips, tricks, lessons-learned, advice, triumphs, and failures - the inside-scoop from data leaders and business intelligence professionals. 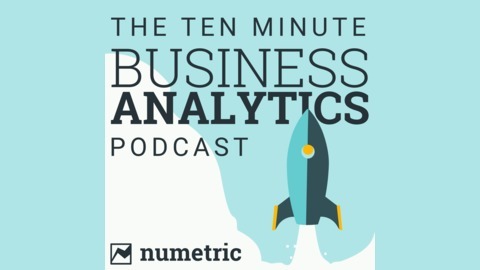 Topics are relevant to business leaders and data professionals everywhere; we discuss the latest thinking on big data, analytics, applications for business, new data and analytics technologies, and implications for the enterprise. Large companies today are quite happy to use analytics for a wide range of tactical decisions, such as product assortment and identifying the most efficient distribution channel. But when it comes to bigger strategic decisions, C-level executives are more tentative. Their gut judgments are still their preferred decision-making mechanism. David Dittman is the director of business intelligence and analytics services for Procter & Gamble, which reported $65.1 billion in revenue last year. Dittman argues that C-levels must start using analytics for more strategic decisions, and they must do it now. David, why are so many executives so hesitant to trust analytics for the big decisions?